I usually do not sign-up for contemporary challenges, but this year I have actually read quite a few (at least more than usual) YA contemporary books. So, I thought why not join in the challenge. I may be a little late to entering, but check out some of the great contemporary books-released this year- that I have read. Since I'm not sure how many more new contemporary books I'll read, I'm just going for level 1 at the moment. 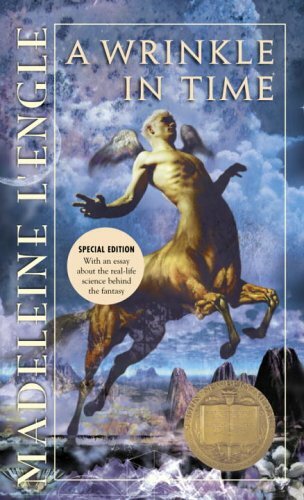 A Wrinkle in Time (Time, 1) by Madeleine L'Engle,1976 (originally published in 1962). 226 pages. Published by Laurel Leaf (originally published by Farrar Straus and Company). Source: Bought/Own. This special edition of "A Wrinkle in Time" includes a new essay that explores the science behind the fantasy. Sela (LeLand Dragons, 2) by Jackie Gamber, 2012. 284 pages. Published by Seventh Star Press. Source: Publisher for review. 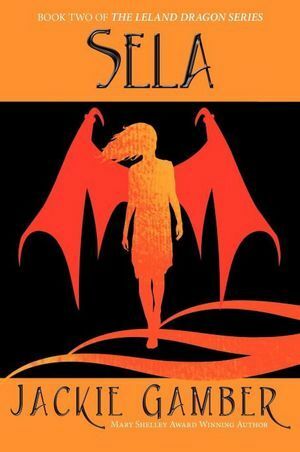 In a world where magic is born of feeling, where the love between a girl and a dragon was once transformative, what power dwells in the heart of young Sela. Sela's art was dead inside, just like her hope. Fear Itself (Benajamin Pratt and the Keepers of the School, 2) by Andrew Clements, 2010. 216 pages. Published by Atheneum. Source: Library. Time is ticking as the countdown to total school demolition continues. But in addition to deciphering maritime clues that could save the building, Ben Pratt and his friend Jill have to stay one step ahead of Lyman, the snake posing as the school janitor—who will do anything to preserve the $30 million development deal that pays his salary. The second book in this riveting six-book series is as action-packed as the first one, culminating in a faceoff between Ben and Lyman. “After five bells sound, time to sit down” makes for a good riddle, but Ben also knows when it’s time to stand up…for Oakes School and for himself. So excited to be part of another cover reveal for Spencer Hill Press, especially this one because it is pretty awesome. Y'all must let me know what you think of this excellent cover. So, what do y'all think of it? 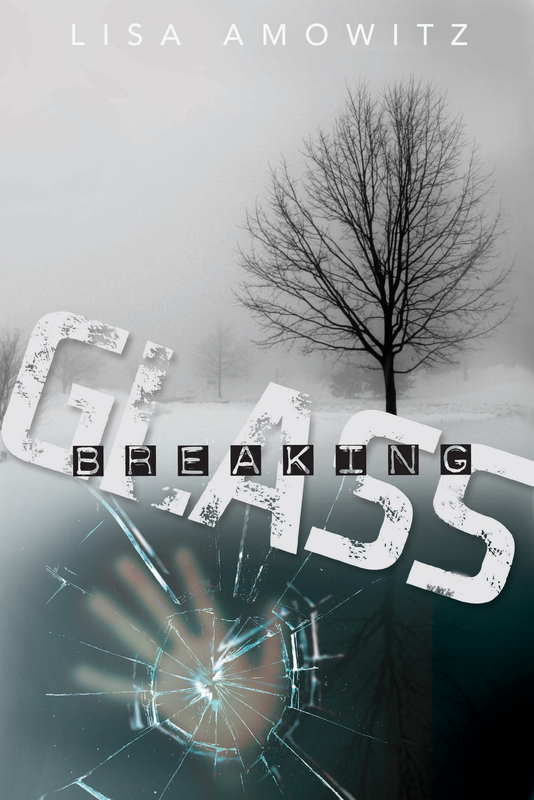 Breaking Glass by Lisa Amowitz, July 9, 2013. Published by Spencer Hill Press. We the Children (Benjamin Pratt and the Keepers of the School, 1) by Andrew Clements, 2010. 160 pages. Published by Atheneum. Source: Library. Benjamin Pratt’s school is about to become the site of a new amusement park. It sounds like a dream come true! But lately, Ben has been wondering if he’s going to like an amusement park in the middle of his town—with all the buses and traffic and eight dollar slices of pizza. It’s going to change everything. And, Ben is not so big on all the new changes in his life, like how his dad has moved out and started living in the marina on what used to be the "family” sailboat. Maybe it would be nice if the school just stayed as it is. He likes the school. Loves it, actually. It’s over 200 years old and sits right on the harbor. The playground has ocean breezes and the classrooms have million dollar views…MILLION DOLLAR views. And after a chance—and final—run-in with the school janitor, Ben starts to discover that these MILLION DOLLAR views have a lot to do with the deal to sell the school property. 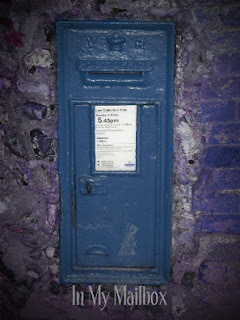 But, as much as the town wants to believe it, the school does not belong to the local government. It belongs to the CHILDREN and these children have the right to defend it! As the ship's bell clanged for the third time, Ben ran his tongue back and forth across the porcelain caps that covered his front teeth, a nervous habit. Dragonborn by Toby Forward, April 24, 2012. Published by Bloomsbury. When Flaxfield the great wizard dies, his apprentice Sam is left without a master. Sam has great power-but he doesn't know it yet. All he knows is that he needs a new master if he wants to finish his education in magic. With his dragon Starback at his side, Sam sets out alone on his quest. But there are those who want Sam's power for themselves, dangerous forces who are waiting for his first mistake so they can attack. When Sam is tricked into making a mortal error, only Starback can save him, thanks to a bond between them that is deeper than either of them know. With a strong sense of adventure and a lyrical writing style, Toby Forward has created a page-turning, accessible fantasy with the literary quality of a classic. 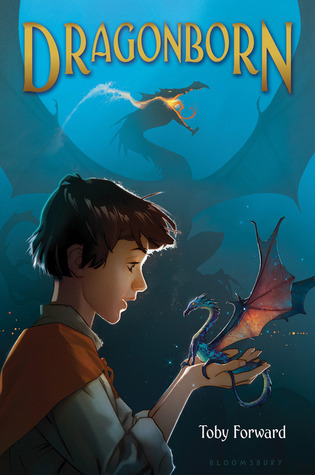 Why: can I say, I like books with dragons...especially middle grade ones. 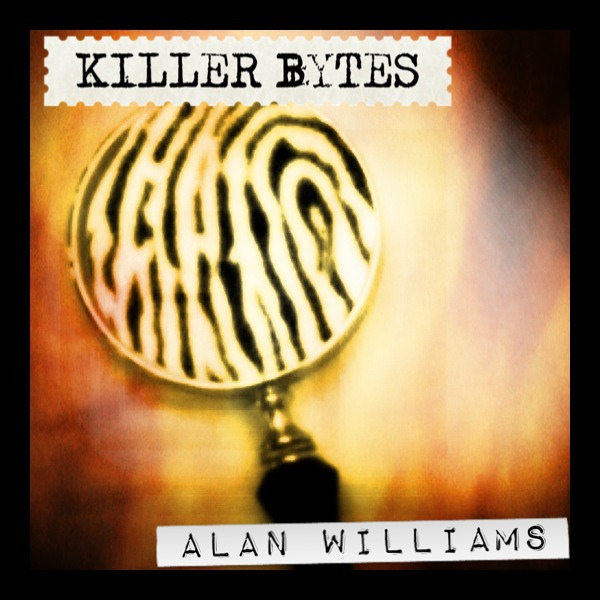 Killer Bytes by Alan Williams, 2012. 134 pages. Source: Partners in Crime/Author for review. A relatively small voltage is all that's required to create an explosion, a small pulse of electricity can create wholesale destruction in microseconds. 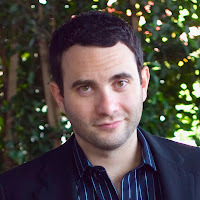 Today, I am excited to have Aaron Karo, author of Lexapros and Cons, stopping by the blog. Hope y'all will give him a warm welcome and check out my review of Lexapros and Cons. My dad sells toys. All I ever wanted to do when I was growing up was sell toys, too. To be honest, ten-year-old me’s dream job and right-now-me’s dream job are probably the same. I first realized what my dad did for a living when I would go down to the basement and see his “samples.” Samples are, well, free toys. They were either toys he himself was selling or just products from other companies that he was using for comparison. The upshot was, when my dad was done with them, I got them. To me, my dad was a cross between Tom Hanks’ character in “Big,” and Santa Claus. In reality, my dad works for very big toy companies and makes sure their products get into stores. 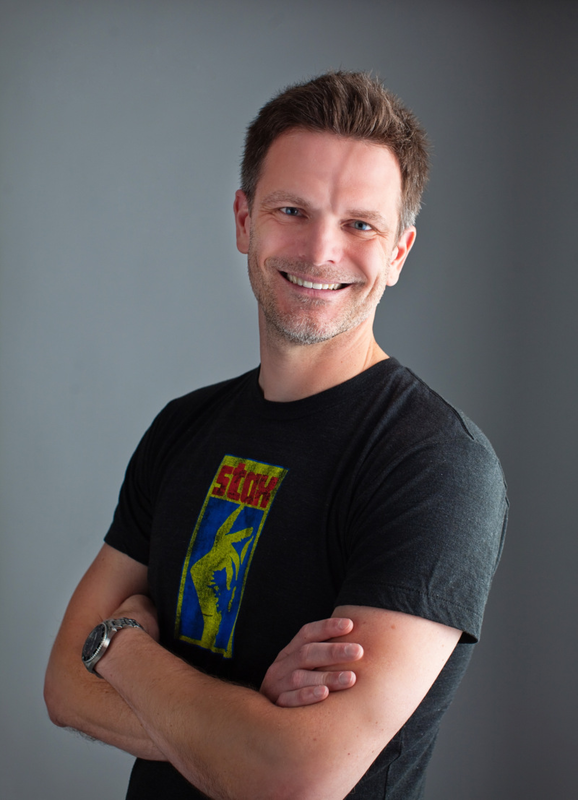 He’s sold video games – I was, like, one of the first people to have Sega (which was cool in the 80s and 90s, trust me). Then he moved on to more boring things like Teddy Ruxpin and Cabbage Patch kids. Still, when I “graduated” from fourth grade, the principal read aloud some answers to a survey we had filled out. Under “what do you want to be when you grow up,” I wrote “toy salesman.’ I still remember people in the audience laughing. But I was dead serious. Another reason I dreamed of working with toys was the stories I heard about how some of the most famous products in history got made. In 1996, my dad was transporting the very first Tickle Me Elmo prototype through Hong Kong International Airport. Because the toy’s internal mechanism looked like a bomb in the X-Ray machine, my mom and dad were quickly hustled into a small room filled with armed guards and asked to dismantle the device. My dad tried, but instead inadvertently tickled Elmo, who first began to shake uncontrollably and then burst into his trademark high-pitched giggle. The guards actually began to giggle too, as did my mom, who was so amused by the scene she cried with laughter for a good 48 hours straight. But my dad remembers one very serious-looking guard in the back who never took his hand off his gun or his eye off of Elmo. Thankfully, my parents were eventually released and the rest is red, furry history. 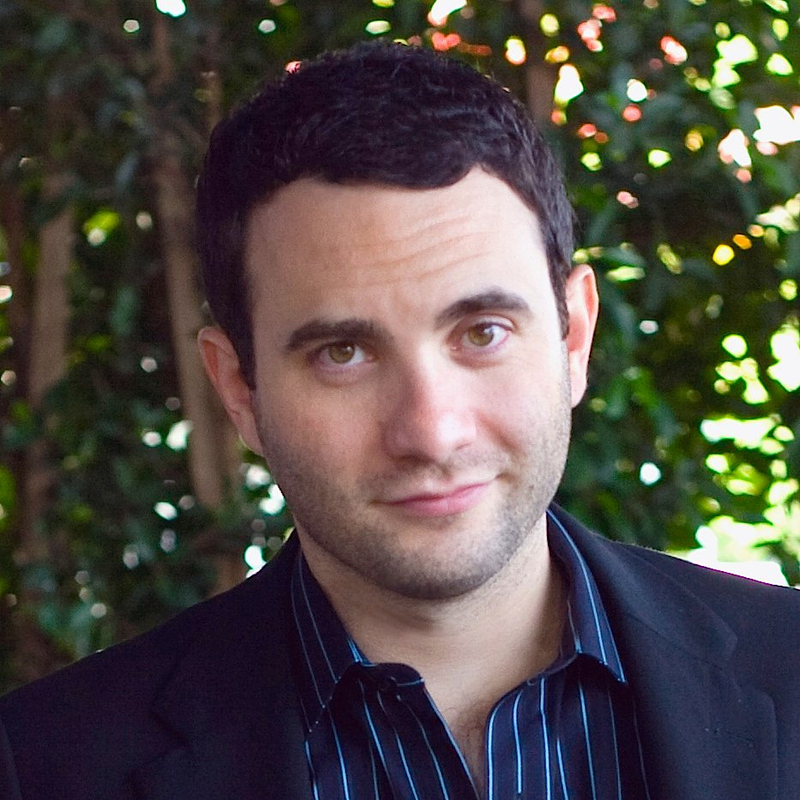 After college I worked in finance and then spent the next ten years as an author, screenwriter, and comedian. So I never actually pursued my dream job. But I do get to make people laugh for a living and Lexapros and Cons is my first YA novel, so I guess I’m inching closer and closer to entertaining kids. And if I ever do need a reminder of my dream job, all I have to do is look in my parents’ basement, where the toys are still stacked high. Chuck Taylor’s OCD has rendered him a high school outcast. His endless routines and habitual hand washing threaten to scare away both his closest friend and the amazing new girl in town. Sure he happens to share the name of the icon behind the coolest sneakers in the world, but even Chuck knows his bizarre system of wearing different color “Cons” depending on his mood is completely crazy. In this hilariously candid debut novel from comedian Aaron Karo—who grew up with a few obsessions and compulsions of his own—very bad things are going to happen to Chuck. But maybe that’s a good thing. Because with graduation looming, Chuck finds himself with one last chance to face his inner demons, defend his best friend, and win over the girl of his dreams. No matter what happens, though, he’ll have to get his hands dirty. Be sure to check out the previous tour stops for Lexapros and Cons by Aaron Karo. Thanks to the awesome Ksenia and Macmillan, one lucky follower has the chance to win a copy of Lexapros and Cons. comment and fill out the Rafflecopter form to enter. DO NOT leave your email in the comments. 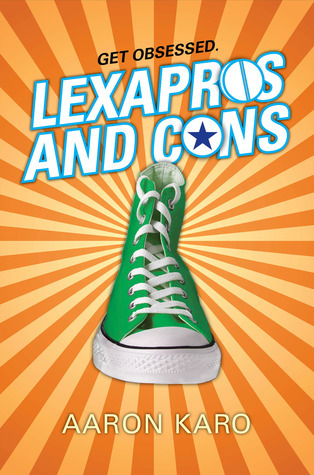 Lexapros and Cons by Aaron Karo, April 10, 2012. 240 pages. Published by Farrar Straus Giroux. Source: Publisher for review. Cannot believe that I nearly forgot all about the readathon. While I may not get much reading in, like, I'll be doing good to read one book, I am excited to participate yet again. I'll post any updates here. For all readathon info visit Dewey's 24 Hour Readathon. 1) Down in coastal Carolina...2) I actually have not picked out a stack of books, but I am looking forward to finally reading Abandon by Meg Cabot. 3) Snacks are a little difficult to come by with food allergies, but I'll probably consume a few Warheads while I'm out today and hopefully get some reading in too. 4) I am a military brat who loves reading.5) This is maybe my third time participating. Next time I hope to remember when the readathon is so that I can plan for it (like clear my schedule). One year, I definitely want to go for the whole 24. 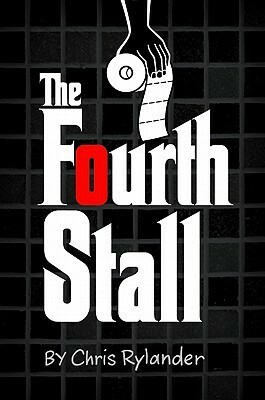 The Fourth Stall by Chris Rylander, 2011. 314 pages. Published by Walden Pond Press. Source: Library. 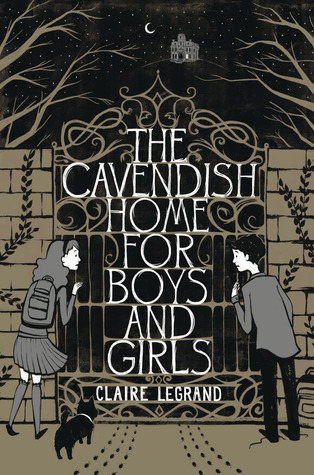 The Cavendish Home for Boys and Girls by Claire Legrand, August 28, 2012. Published by Simon and Schuster Books for Young Readers. Why: Because it sounds most excellent! I want and need to read The Cavendish Home for Boys and Girls so much. SO MUCH! 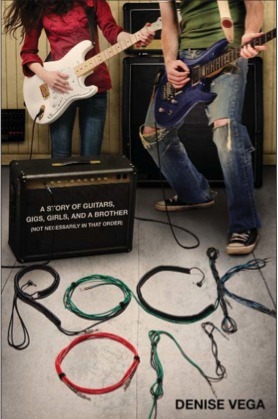 Rock On: A Story of Guitars, Gigs, Girls, and a Brother (Not Necessarily in That Order) by Denise Vega, March 5, 2012. 296 pages. Published by Little, Brown Books for Young Readers. Source: Publisher for review (requested). Ori Taylor is the lead singer, guitarist, and songwriter of the Band To Be Named Later, a garage band he started with his friends. After years of being known only as the kid brother of sports star Del, Ori is looking forward to stepping out of his older brother's shadow, learning to perform in public, and rocking the Battle of the Bands contest. Oh, and maybe finally working up the nerve to talk to a girl in person instead of just over e-mail. But when Del suddenly returns from college, he expects Ori to step back into his role of little brother, just when Ori is starting to come into his own. My dad likes to joke that the first word I ever spoke was guitar, but apparently it was Del. 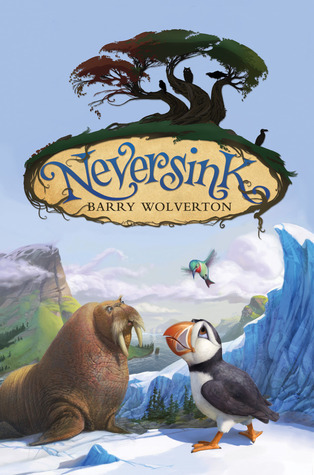 Can you believe it is already time to announce the (very) lucky winner of a copy of Neversink by Barry Wolverton. Hope that the lucky winner will love Neversink as much as I did. Y'all can still check out my review of Neversink and see why I loved it so much. A huge thanks to Kellie at Walden Pond Press for the giveaway copy. Congrats, Diana, I'll be emailing you shortly (be sure to check your spam folder). Winner has 48 hours to respond before a new winner will be picked. Wow, talk about having zero time as of late. So, here aresome of the books that I have gotten overthe last couple of weeks (some really great titles thatare made of awesome). Little Women (Little Women, 1) by Loiusa May Alcott, read by Lorelei King, 2011. 8 CDS (8 hrs 7 min.). Published by AudioGo. Source: Audiobook Jukebox/publisher. 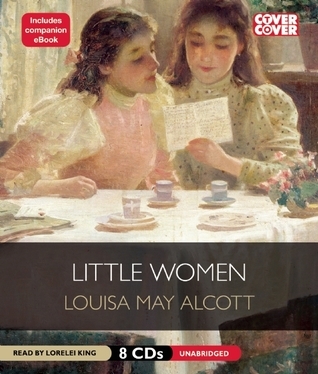 Louisa May Alcott paints a vivid portrait of New England at the time of the American Civil War in this touching classic. With their loving father away at the front, times are particularly difficult for the four March girls and their mother, left at home. Despite these hardships, the "little women"—Meg, Jo, Amy and Beth—never lose faith, remaining ever cheerful with a generosity of spirit to warm even the coldest of hearts. Uncommon Criminals (Heist Society, 2) by Ally Carter, 2012. 298 pages. Published by Hyperion book CH. Source: publisher for review (requested). Moscow can be a cold, hard place in winter. Lucy (Daughters of the Sea, 3) by Kathryn Lasky, March 1, 2012. Published by Scholastic. A choice between love and survival . . .Lucy's family is excited to spend the summer in Bar Harbor, Maine. Her minister father is pleased to preside over such a prestigious congregation, and his social-climbing wife is ecstatic at the chance to find a rich husband for her daughter.Yet Lucy wants nothing to do with the Bar Harbor social scene; she's simply excited to spend the summer by the sea, watching the waves from her favorite spot on the cliff. Despite having never gone swimming, Lucy feels an intense connection to the ocean, and meets a handsome ship-builder who shows Lucy a world she's never known, yet somehow always longed for.However, her mother will stop at nothing to keep Lucy and the ship builder apart, even if it means throwing Lucy into the arms of a wealthy man with a dangerous secret. 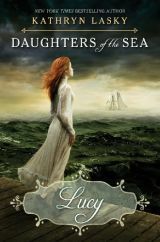 Can Lucy break free and embrace her destiny as a daughter of the sea? Or is she doomed to waste away in a gilded cage, slowly dying of a broken heart? Why: Because I absolutely loved Hannah and May, and cannot wait to read the next installment in the series. 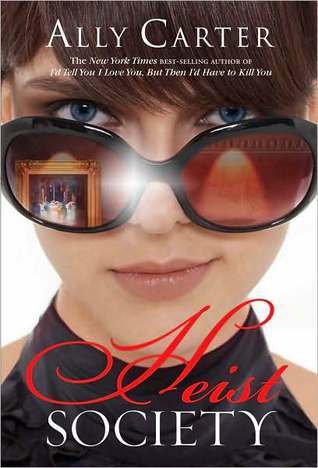 Heist Society (Heist Society, 1) by Ally Carter, 2010. 287 pages. Published by Hyperion Book CH. Source: Won/Own. No one knew for certain when the trouble stared at the Colgan School. 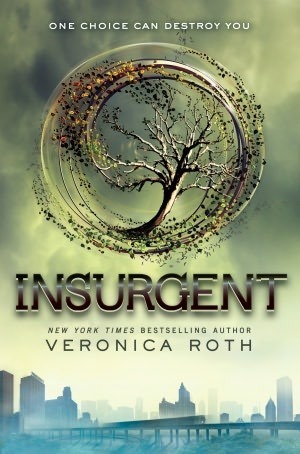 Insurgent (Divergent, 2) by Veronica Roth, May 1, 2012. Published by HarperTeen. Why: Because Divergent absolutely blew me away and I need to know what will happen next. Insurgent is one of those books that I'd give (almost) anything to get my hands on a copy-like go another month without soda and candy to have a copy. 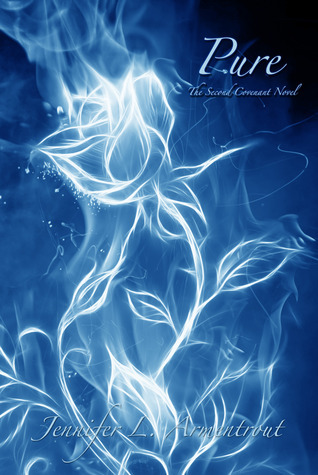 Pure (Covenant, 2) by Jennifer L. Armentrout, April 3, 2012. 329 pages. Published by Spencer Hill Press. Source: Publisher. I stared at the ceiling of gymnasium, little black splotches dancing in front of me. Neversink by Barry Wolverton, March 27, 2012. 287 pages. Published by Walden Pond Press. Source: Publisher for review. Along the Arctic Circle lies a small island called Neversink, whose jagged cliffs and ice-gouged rocks are home to a colony of odd-looking seabirds called auks, including one Lockley J. Puffin. With their oceanfront views and plentiful supply of fish, the auks have few concerns - few, save for Lockley's two best friends, Egbert and Ruby, a know-it-all walrus and a sharp-tongued hummingbird. But all of this is about to change. Rozbell, the newly crowned king of Owl Parliament, is dealing with a famine on the mainland of Tytonia - and he has long had his scheming eyes on the small colony to the north. Now, Neversink's independence hangs in the balance. An insurgence of owls will inevitably destroy life as the auks know it - unless Lockley can do something about it. At the outer reaches of Auk's Landing, there was a high, narrow ledge that jutted out over the sea and curved to a point like a sharp bill. Neversink was absolutely thrilling and one of the most enjoyable debut books that I have read to date. Neversink has two great qualities that make it stand out from most books middle-grade books that I have read. Its got a quirky cast who you want to see triumph in their trials and a maniacal villain whose downfall you hope to see by the time the book wraps-that's just reason one, as well, as the writing, which is quick paced and pulls you in from the beginning, while still managing to keep you on your toes as to what the final outcome will be. One of the things I liked best about Neversink is Mr. Wolverton's writing. Part of what makes his writing so good in this book is that the story is so richly detailed and the way that the conflict between the owls and auks is revealed throughout the book. One of the best and most descriptive scenes in the book that definitely showcases his writing style would have to be when Lockley goes on a...I guess spirit journey to seek the help goddess of the auks' in restoring their food supply. I really liked how that scene was a mixture of a slightly dark nightmarish world with a dash of silver lining. Plus, Lockley's thought after he returned were a little amusing as he was not sure if he believed what happened or not. Lockley, was definitely one interesting character. One of the things that made Lockley such an interesting character was how he evolved throughout the books-he went from being a bystander and not sticking out and gaining the attention of the owls to leading the Auks in rebellion against them and standing up for the rights of him and his people. Plus he was a bit odd compared to the rest of the Auks which made him stand out all the more and grab my attention as a reader. As for the Parliament of Owls and Rozbell, they were some pretty crazy creatures...most especially Rozbell and his Napoleon complex mixed with fair helping of paranoia. Goodness who was one messed up little bird and for that reason alone made him a great antagonist in the book. While the story, plot, and characters are spectacular what really makes this such a delightful read is Mr. Wolverton's writing. His writing just pulls you in from page one and does not let you go until the very end, and for me, that is one important factor when I start on a book. Not sure if Neversink is for you, well, I would recommend this one by Mr. Wolverton's writing alone because he will knock your socks off. The only drawback to this book would have to be that there is so many things I want to tell y'all about it, but I must resist because I am afraid that I will give the enter thing away. Neversink was just such a great read that I can not think of anything I do not like about. Final Verdict: Neversink an thrilling must read. Neversink earns 4 out of 5 pineapples. I have been writing for intelligent children of all ages for almost 20 years, helping create educational books, documentaries, and online content for Discovery Networks, National Geographic, the Library of Congress, Scholastic, and Time-Life Books. Ever since seeing puffins at the Baltimore Aquarium, I have wondered why penguins are so much more celebrated than their equally adorable northern counterparts. For NEVERSINK, my first book, I conducted extensive research at the legendary walrus library at Ocean's End. I currently live with a walrus-sized cat named Charlie in Memphis, Tenn. Thanks to the ever awesome Kellie at Waldon Pond Press I have one copy of Neversink to giveaway. Trust me,you are going to want to win this book. Comment and fill out the Rafflecopter form to enter. Please DO NOT leave your email in the comments.